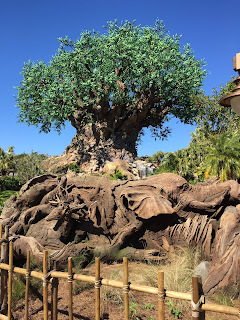 Some construction walls recently came down on Discovery Island at Animal Kingdom, revealing some new animals carved into the roots near the Tree of Life. You can see an elephant and a deer in this shot. Animal Kingdom is receiving a makeover of sorts, with many projects going on right now. This already amazing park will continue to get better as some great new features will be revealed over the next few years.